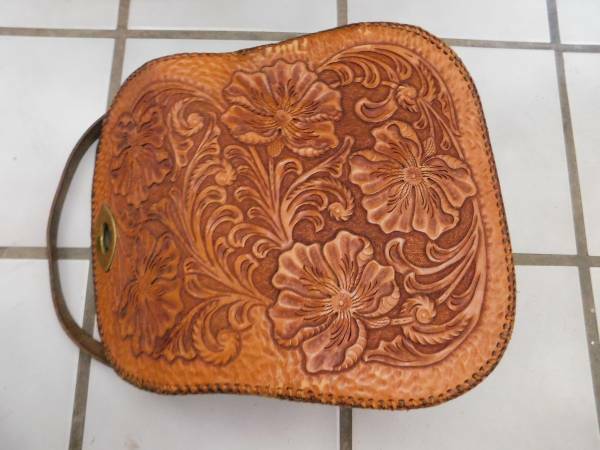 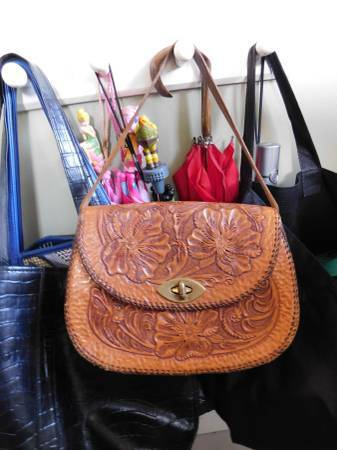 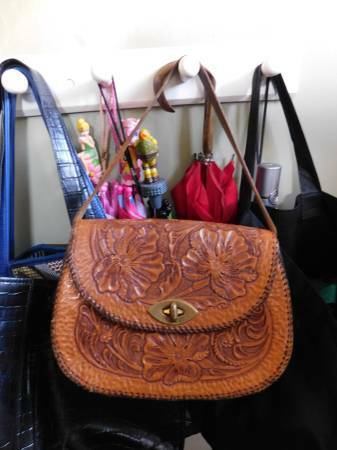 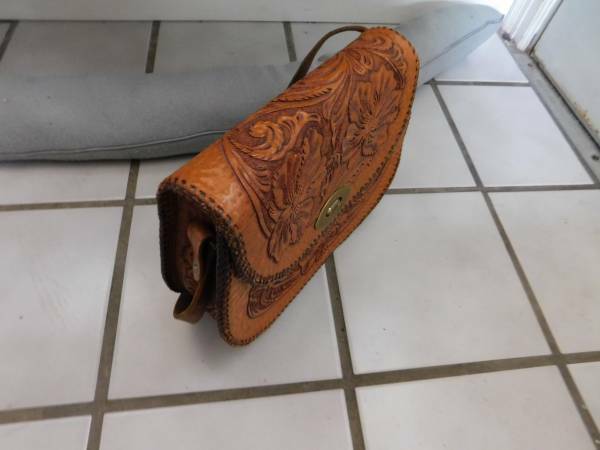 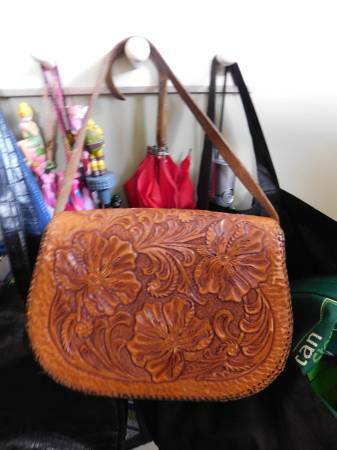 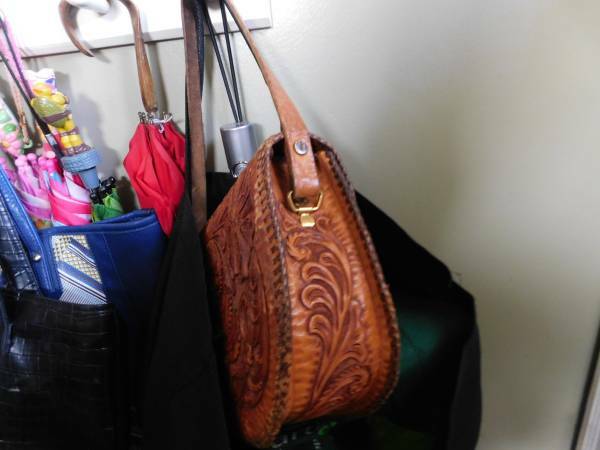 The whole purse is hand tooled leather. 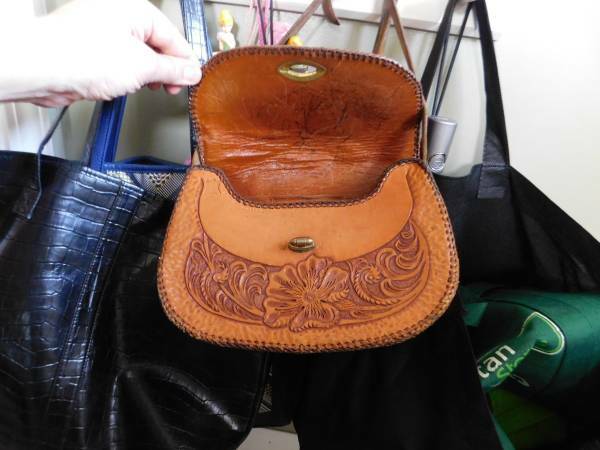 I would call this a smaller sized purse. 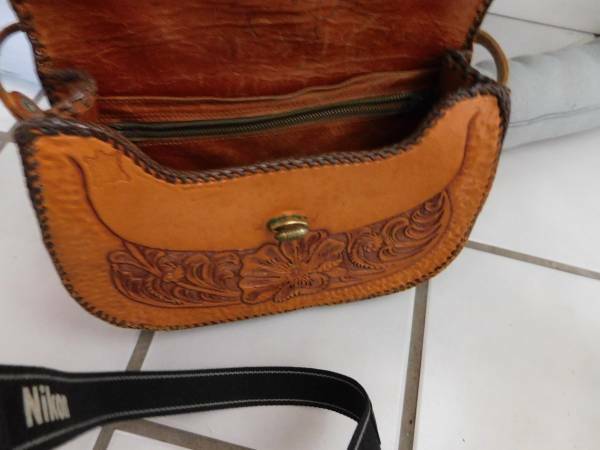 The only issue with this purse is some pen marks on the inside flap.